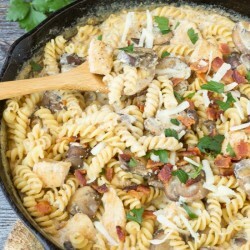 20 Minute Sausage and Chicken Cream Sauce Pasta has amazing flavor, a creamy sauce, and it only takes about 20 minutes to make! This is the perfect weeknight comfort food! 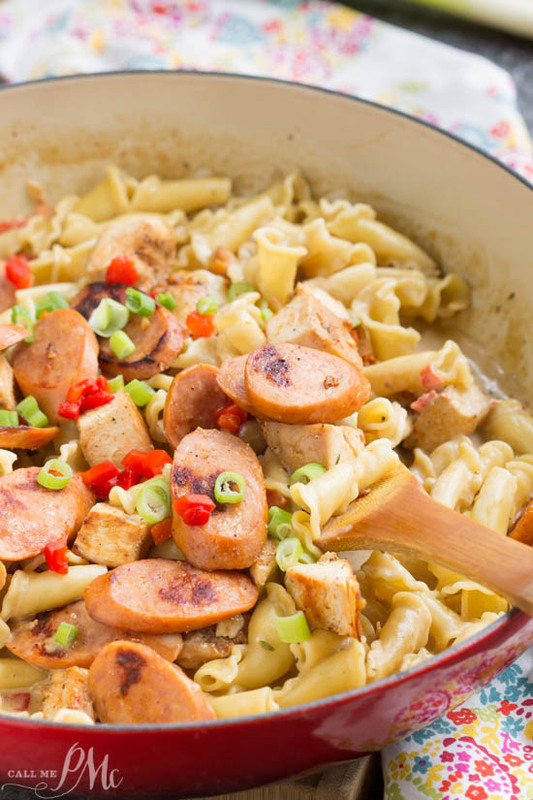 This pasta recipe has a creamy sauce filled with spicy sausage and chicken. 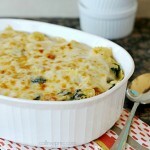 It’s a delicious family friendly recipe that makes an easy weeknight meal. Given the choice, I would choose pasta over a big protein meal every time. Pasta is definitely my favorite and my weakness. 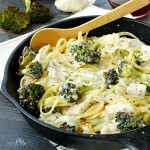 My 20 Minute Sausage and Chicken Cream Sauce Pasta meal has the best of both pasta and protein. 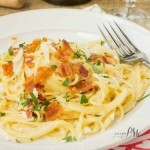 I pasta is flavored with a creamy sauce that’s flavored with garlic, onions, pimientos, thyme, and red pepper. 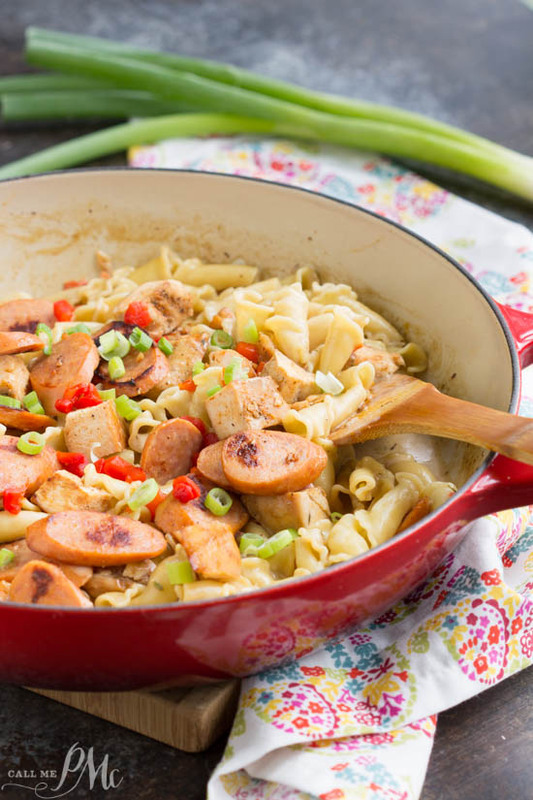 Sliced and seared smoked sausage slices and chunks of chicken add a heartiness to the recipe. Food that is satisfying, comforting, and simple to make. 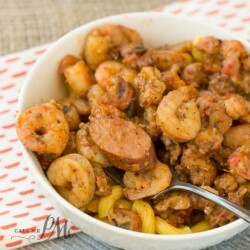 I used Bryan smoked sausage and chicken in a flavorful, light cream sauce. You can use all sausage or all chicken if you like, but I liked the combination of both. This recipe is a great way to use left over chicken or simply purchase a rotisserie chicken from the grocery. Optionally, you can add 1 to 2 cups of broccoli if you want. I used Campanella pasta. The funnel shape held the creamy sauce wonderfully. Use your favorite pasta, or what you have on hand. I used pimentos. You can also use roasted red peppers or sun-dried tomatoes in the sauce. 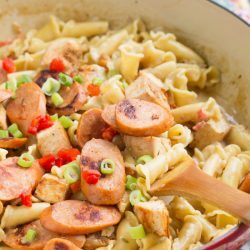 20 Minute Sausage and Chicken Cream Sauce Pasta has a creamy sauce filled with spicy sausage and chicken. 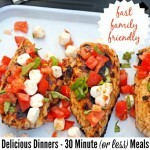 It's a delicious family friendly recipe that makes an easy weeknight meal. Slice sausage and cube chicken. Heat skillet to medium-high. Cook sausage and chicken until browned and heated through. Remove from pan and set aside. Add flour, whisk and cook 1 minute. Add chicken broth and heavy cream to pan. Simmer until sauce thickens. 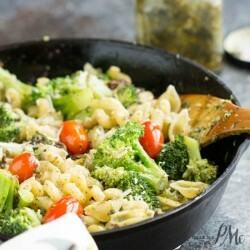 Add pasta and meat back into skillet and toss to coat. If needed at extra pasta liquid to sauce. Thank you. Sounds so yummy. As soon as Hurricane Irma is over, assuming I still have a kitchen, plan to make this to hopefully celebrate. Is that 3/4 cup self-rising flour supposed to be the chicken broth? Eek! Thanks for pointing this out. It should be 1/2 cup chicken broth and 3/4 cup heavy cream. I have corrected the recipe. Thanks so much!